and we have also managed to get discount entry into ARQ for those who just want to keep going. Its what you’ve all been waiting for! We are bringing you our best party yet! Just like the original Party in Koh Phanyang, great tunes, fire twirling, body painting and lots of surprises. So wear something that show’s that you’ll glow. Then step into the dark with something that sparks, feel the vibes and come party the night away with us! 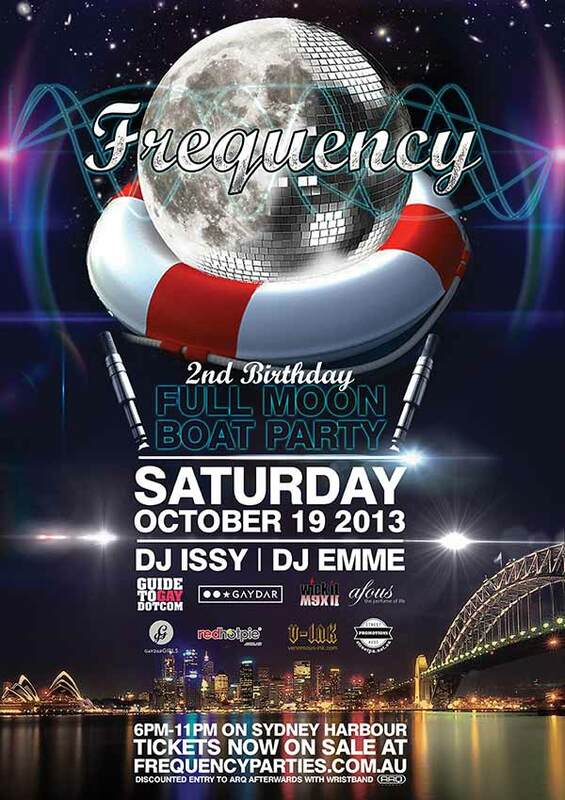 Cruising along the beautiful Sydney Harbour on a full moon is a magnificent experience so we have secured a big boat, laser lights, and the awesome talents of DJ Emme and our resident DJ Issy to spin some Funky House tunes progressing to Progressive House and Trance just like a traditional FULL MOON Party. The Bar is pay as you go and food will be available to be purchased on board. Our parties are known to celebrate friendships and bringing together like-minded individuals. It is often packed with fun-loving party people who create an awesome atmosphere to remember with you and your friends. This party is about YOU! So come and get in quickly! Bring your friends and make new ones. This party will certainly go off so take advantage of the early bird specials and grab your tickets below. There will be performers and lots of giveaways from our Sponsors on the night. If you will be purchasing your tickets using a free email service (like hotmail, gmail etc) please add us to your email providers “safe lists” – if you do not receive you order, payment and ticket emails, please check your spam or junk folders.